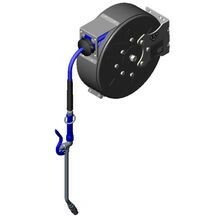 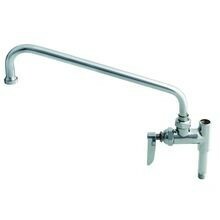 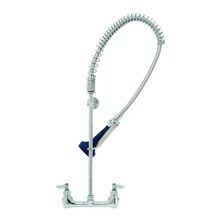 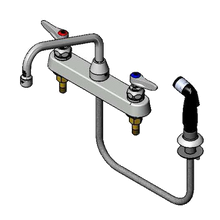 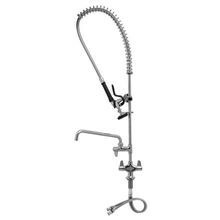 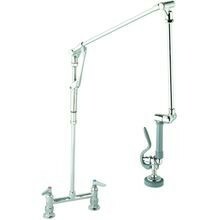 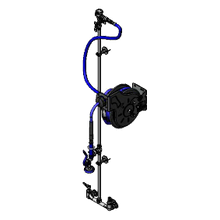 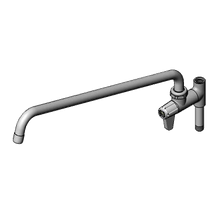 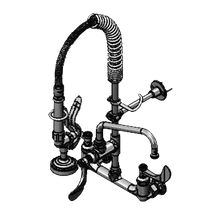 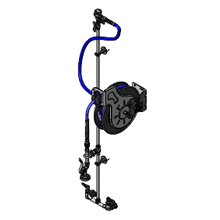 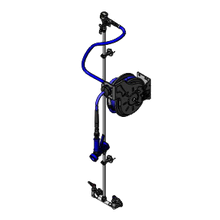 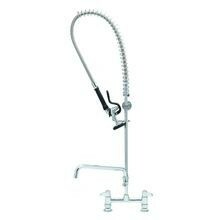 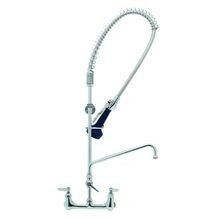 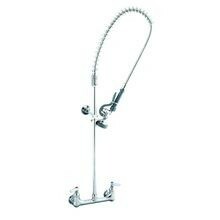 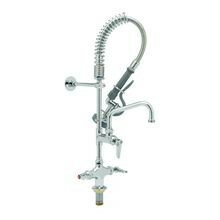 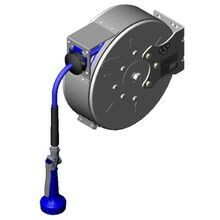 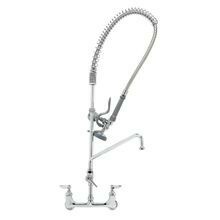 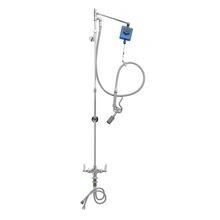 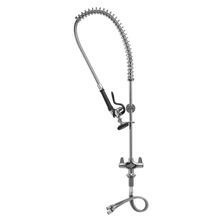 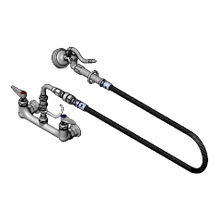 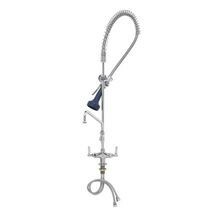 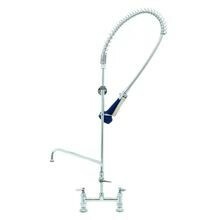 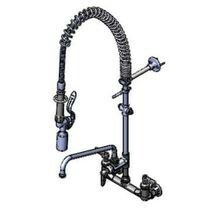 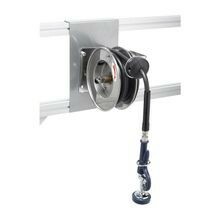 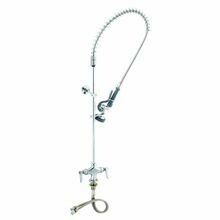 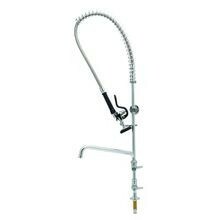 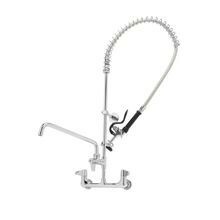 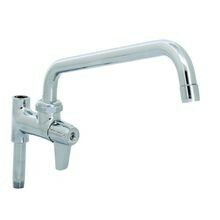 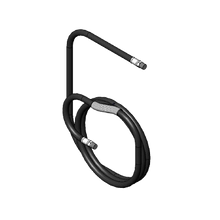 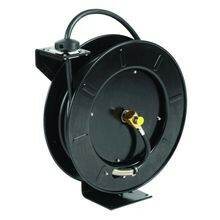 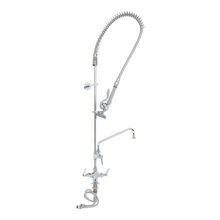 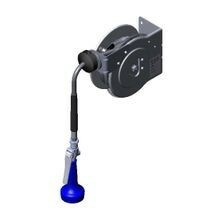 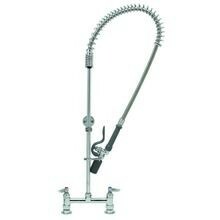 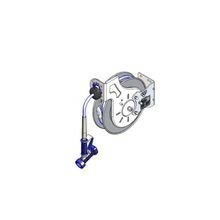 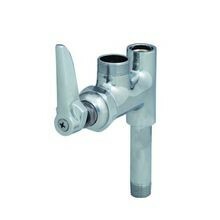 T&S Brass B-0113-B EasyInstall Pre-Rinse Unit, spring action gooseneck & hole base faucet, 18" flexible stainless steel supply lines with comp. 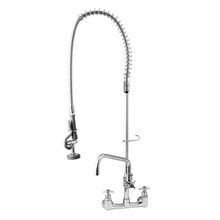 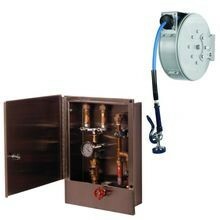 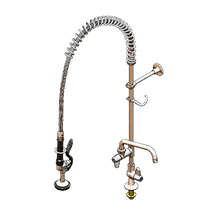 T&S Brass 5AFL18 Equip Add-On Faucet, 20-7/16" long, standard, ceramic cartridges, lever handle, laminar outlet, includes: 18" swivel nozzle, 3/8"
T&S Brass MPZ-2DLN-06 Mini Pre-Rinse Unit, single hole deck base faucet, compact spring & flex hose, spray valve, 6" wall bracket, lever handles, 6"
T&S Brass B-0123-A08-08C EasyInstall Pre-Rinse Unit, spring action gooseneck, 8" deck mount, JeTSpray low flow valve 1.20 gallons per minute, 8"
Remove sauces and crusted on foods from your dishware with a pre-rinse faucet. 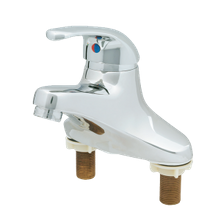 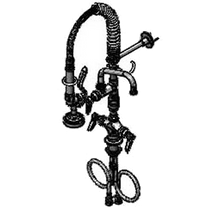 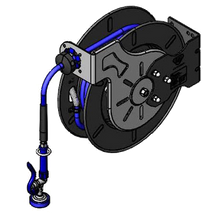 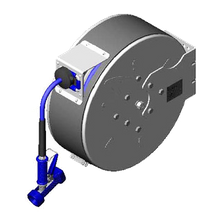 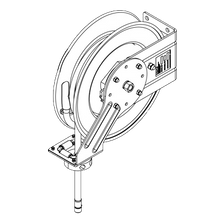 These particular faucet types are available in a variety of options, such as wall or deck mounted, faucet size and height, and ergonomic features for long-term use.